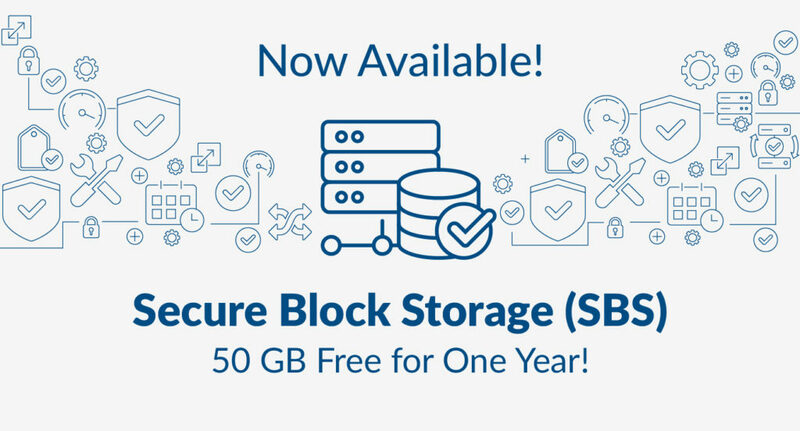 Secure Block Storage (SBS) 50 GB Free for One Year! Secure Block Storage – Easy to use, highly redundant, available, scalable, and secure additional storage. We are excited to announce the release of Secure Block Storage, enabling you to easily attach additional storage to your cloud servers to scale workloads more easily. Designed for 99.999% availability, SBS volumes are automatically replicated multiple times to protect your data from component failure. With SBS, storage can be increased on-the-fly and moved between your Cloud Servers within the same region. Additionally, SBS volumes are automatically encrypted at rest and connected to your Cloud Servers over an isolated storage network to ensure a secure environment for your data. To help you get started using SBS, we are offering 50 GB of SBS free through June 14, 2019, for existing customers and one year from the date of signup for new customers. You can increase the space of SBS volumes for an additional 7.9 cents per GB per month. 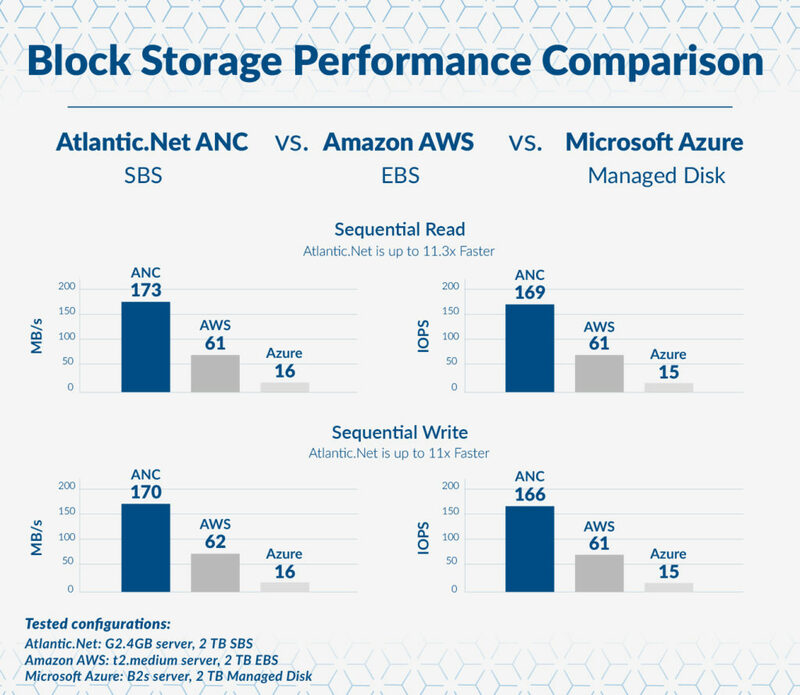 SBS is ideal for running mission-critical applications that require robust and scalable block storage, as well as for running queries on databases that require low latency and high performance. Following the release of SBS, we plan to roll out object storage and SBS-based snapshots, backup, and off-site replication in the coming months.